Home Articles Here’s how you can top the leaderboard & WIN a Renault Kwid! Here’s how you can top the leaderboard & WIN a Renault Kwid! 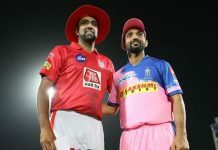 Can you predict the IPL 2019 playing eleven of your favorite team? Can you predict who will win IPL 2019? Do you think you have the upper hand among other experts of the game? Then join the leaderboard and play the IPL Fantasy League on BalleBaazi. 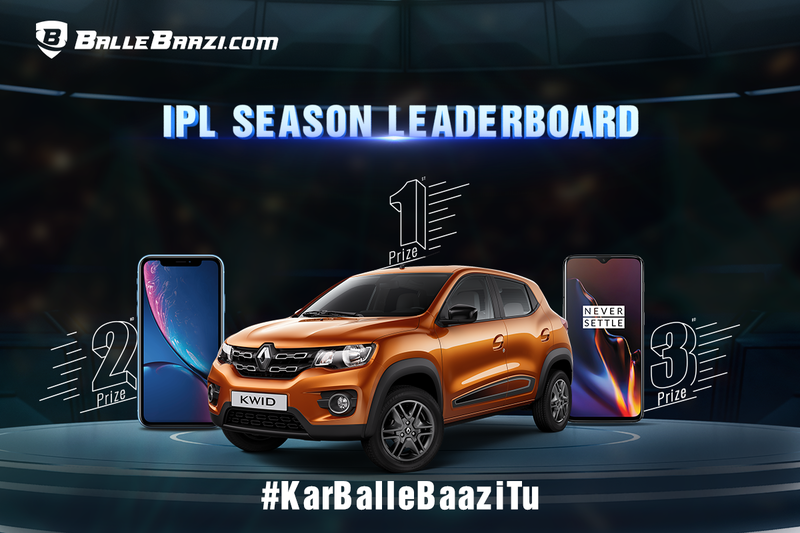 Participants who finish 1st at the end of the season will WIN a Renault Kwid, while the 2nd and 3rd on the leaderboard, will win iPhone XR and One Plus 6T, respectively. In addition to that, every week, throughout the season, users will also get a chance to WIN Yamaha FZ, Redmi Note 6 Pro, JBL Bluetooth Speakers, and more. Rankings: Top teams with the most number of accumulated fantasy points, acquired during the active leaderboard period, are deemed as leaders. Leaders among participants with more than 1 team in a multi-entry match, are decided basis the team that has managed to score the highest fantasy points. Series/Tournament Leaderboards measure a BalleBaaz’s performance on a per series basis that they have participated in. 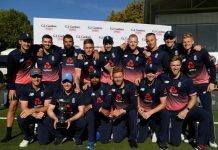 The fantasy points earned by the best performing team in every match, say in a series of 5 different matches, will be chosen for the leaderboard. Weekly/Monthly Leaderboards track a BalleBaaz’s performance weekly/monthly. If a player has participated in all the matches happening in a week or month, the fantasy points earned by the best team in every participated match, will be accumulated for the leaderboard. Only teams enrolled in a cash contest are qualified to be a part of the leaderboard. Results are declared after 24-hours of the last match in a series/week/month. So there you have it. 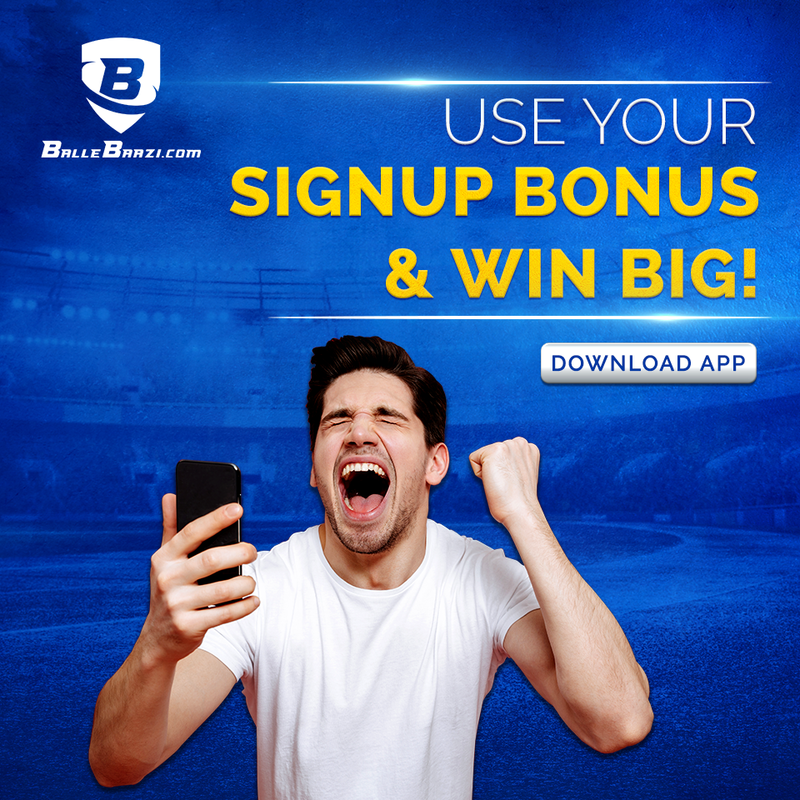 Now click here to install BalleBaazi, the best IPL Fantasy League app and enjoy the Biggest Indian Cricket Festival like never before. Previous articleWill Mumbai Indians Lift Trophy No. 4 this IPL?